ALI, A; ABDULAI, A; GOETZ, R U (2012) “Impacts of tenancy arrangements on investment and efficiency: evidence from Pakistan.” Agricultural Economics, Vol 43, 85-97. AÑÓN-HIGÓN,D; MANJÓN, M (2012) “Multinationality, Foreignness andInstitutional Distance in the Relation between RD and Productivity”, Research Policy, 41, 592-601. ASLANIDIS, N; CHRISTIANSEN, C (2012) “Smooth transition patterns in the realized stock-bond correlation”, Journal of Empirical Finance, 19, 454 – 464. AYLLÓN, S (2013) ‘Discriminación salarial de género y pobreza en Cataluña’, Revista de Economía Aplicada, (en premsa). AYLLÓN, S (2013) ‘Understanding poverty persistence in Spain’, SERIEs – Journal of the Spanish Economic Association, (en premsa). AYLLÓN, S (2013) ‘Unemployment persistence: not only stigma but discouragement too’, Applied Economics Letters, 20(1) 67-71 (en premsa). AYLLÓN, S; BLANCO-PEREZ, C (2012) “State Dependence in Self-Assessed Health in Spain”, Hacienda Pública Española/Review of Public Economics, 202 (3), pp. 9-30. BABECKÝ, J; DU CAJU, P; KOSMA, D; LAWLESS, M; MESSINA, J; RÕÕM, T (2012) “How do European firms adjust their labour costs when nominal wages are rigid?”, Labour Economics 19(5) 792-801. BADIA-MIRÓ, M; GUILERA, P; LAINS, P (2012) “Regional incomes in Portugal: industrialization, integration and inequality, 1890-1980”. Revista de Historia Económica – Journal of Iberian and Latin American Economic History. 30 (2) 225-244. BARBERÀ, S; BERGA, D; MORENO, B (2012) “Domains, ranges and strategy-proofness: the case of single-dipped preferences”, Social Choice and Welfare, Volume 39, Issue 2-3, pp 335-352 (2012). BARBERÀ, S; BERGA, D; MORENO, B (2012) “Two necessary conditions for strategy-proofness: On what domains are they also sufficient?”, Games and Economic Behavior, Volume 75, Issue 2, Pages 490–509. BUSOM, I; CORCHUELO, B; MARTINEZ ROS, E (2012) “Tax incentives or subsidies for R&D?,” UNU-MERIT Working Paper Series 056, United Nations University, Maastricht Economic and social Research and training centre on Innovation and Technology. Enviat a Journal of Industrial Economics. CARRERAS-MARÍN, A (2012) “The international textile trade in 1913: the role of intra-European flows”. Revista de Historia Industrial, 49, pp. 55-76, ISSN: 1132-7200. CERVINI, M; RAMOS X (2012), “Long Term Earnings Inequality, Earnings Instability and Temporary Employment in Spain: 1993-2008”, British Journal of Industrial Relations, 50(4) pp. 714-736. DEL REY, E; LOPEZ-GARCIA, M A (2012), “On Welfare Criteria and Optimality in an Endogenous Growth Model”, Journal of Public Economic Theory, 14 (6), pp. 927-943. DEL REY, E; LOPEZ-GARCIA, M A, “Optimal Education and Pensions in an Endogenous Growth Model”, Journal of Economic Theory, en premsa. DEL REY, E; RACIONERO, M (2012) “Voting on income-contingent loans for higher education”. Economic Record, Volume 88, Special Issue, pp 38-50. 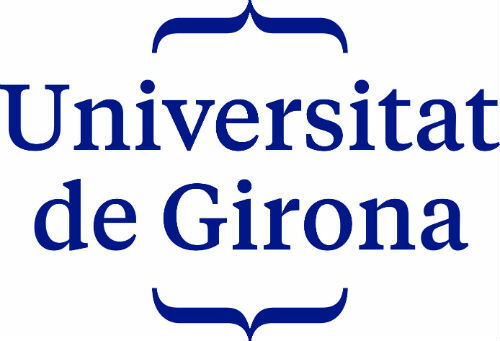 DÍAZ-SERRANO, L; RODRÍGUEZ-POSE, A (2012) “Decentralization, Subjective Well-Being and the Perception of institutions”, Kyklos, 65 (2), 179 – 193. DURO, J A; PADILLA, E “Cross-Country Polarisation in CO 2 Emissions Per Capita in the European Union: Changes and Explanatory Factors”, Environmental and Resource Economics, en premsa. ELU-TERÁN, A (2012) “Has social security converged? Cross-country evolution of old age benefits, 1890-2000”, Journal of Economic History, 72, 4, 927-955. ESPUELAS, S (2012) “Are dictatorships less redistributive? A comparative analysis of social spending in Europe (1950-1980)” European Review of Economic History, 16(2), 211-232. GOROSTIAGA, A; HROMCOVÁ, J; LOPEZ-GARCIA M A, “Optimal Taxation in the Uzawa-Lucas Model with Externality in Human Capital”, Journal of Economics, en premsa. HRITONENKO, N; YATSENKO, Y; GOETZ, R U; XABADIA, À (2012) “Sustainable dynamics of size-structured forest under climate change.” Applied Mathematical Letters, 25(10), 1439-1443. HRITONENKO, N; YATSENKO, Y; GOETZ, R U; XABADIA, A; (2013) “Optimal harvesting in forestry: steady-state analysis and climate change impact, páginas.” Journal of Biological Dynamics, Vol. 7, 41–58 (en premsa)..
HROMCOVA, J; CALLADO, F; UTRERO, N (2012) “Transformation of Payment Systems: The Case of European Union Enlargement”, Applied Economics Letters 19, 1787-1791. KARAKOSTA, O; KOTSOGIANNIS, C; LOPEZ-GARCIA, M A, “Indirect Tax Harmonization and Global Public Goods”, International Tax and Public Finance, en premsa. KARANASSOU, M; SALA H (2012), “Inequality and Employment Sensitivities to the Falling Labour Share”, The Economic and Social Review, vol. 43 (3), pp. 343-376. KARANASSOU, M; SALA H (2012), “Productivity Growth and the Phillips Curve: A Reassessment of the US Experience”, Bulletin of Economic Research, vol. 64 (3), pp. 344-366. KYRIACOU, A (2012), “Beliefs about the determinants of success and employment protection”, Economics Letters, 116(1) 31-33. KYRIACOU, A (2012), “Ethnic Segregation and the Quality of Government: The Importance of Regional Diversity”, Constitutional Political Economy 23(2) 166-180. KYRIACOU, A (2013),, Ethnic Group Inequalities and Governance: Evidence from Developing Countries”, Kyklos. 66(1) 78-10 (en premsa). KYRIACOU, A; ROCA-SAGALÉS, O (2012), “The Impact of Structural Funds on Regional Disparities within Member States”, Environment and Planning C (Government and Policy) 30(2) 267-281. KYRIACOU, A; ROCA-SAGALÉS, O, “Regional Disparities and Government Quality: Redistributive Conflict Crowds out Good Government”, Spatial Economic Analysis, en premsa. LLOP, M (2012) “The role of saving and investment in a SAM price model”, The Annals of Regional Science, 48 (1), 339-357. LLOP, M; ARAUZO, J M (2012) “Identifying the economic impact behind a cultural asset: An input-output subsystems analysis”, The Annals of Regional Science, 49 (3), 861-877. LLOP, M; ARAUZO, J. M (2012) “Economic impact of a new museum on the local economy: “the Gaudí centre”, Letters in Spatial and Resource Sciences, 5, 17-23. LLOP, M; DEMISSE, E; BUTNAR I; CASTELLS, F (2012) “Environmental tax on products and services based on their carbon footprint: A case of study of the pulp and paper sector”, Energy Policy, 50 (C), 336-344. LLOP, M; PONCE, X (2012) “A never-ending debate: Demand versus Supply water policies. A CGE analysis for Catalonia”, Water Policy, 14, 694-708. MANJÓN, M; AÑÓN, D; MAÑEZ, J (2012) “Internationalization, RD and productivity: evidence for great Britain”, Industrial And Corporate Change, 20 (2), 641-659. MANJÓN, M; ARAUZO, J M (2012) “(Optimal) Spatial aggregation in the determinants of industrial location”, Small Business Economics, 39, 645-658. MARTÍNEZ-GALARRAGA, J (2012), “The determinants of industrial location in Spain, 1856-1929”, Explorations in Economic History, 49(2), 255-275. MILLOCK, K; XABADIA, A; ZILBERMAN, D (2012) “Policy for the Adoption of New Environmental Monitoring Technologies to Manage Stock Externalities.” Journal of Environmental Economics and management, Vol. 64 no 1, pp 102-11. MUINELO-GALLO, L (2012), “Modelo estructural de función de producción. Un estudio empírico de la innovación en el sector manufacturero español”. Economía: Teoría y Práctica, v.: 36, pp. 43 – 82, México. MUINELO-GALLO, L, (2012), “Investigación, Innovación y productividad: un análisis empírico del sector manufacturero español”. Revista de Economía Industrial, v.: 385, pp. 149 -160. MUINELO-GALLO, L; ROCA-SAGALÉS O (2013), “Joint determinants of Economic Growth, Income Inequality, and Fiscal Policies”. Economic Modelling, Volume 30, January, pp. 814-824 (en premsa)..
NICOLINI, R; EPIFANI, I “On the density distribution across space: a probabilistic approach” Journal of Regional Science, en premsa. NICOLINI, R; MARTINEZ GIRALT, X “Technological endowments in entrepreneurial partnerships”, Computational and Mathematical Organization Theory, DOI 10.1007/s10588-012-9144-8 en premsa. PALUZIE, E (2012) “El concert econòmic: necessitat i viabilitat”, Idees 34. PARCERISAS, L; MARULL, J; PINO, J; TELLO, E; COLL, F; BASNOU, C (2012) “Land use changes, landscape ecology and their socioeconomic driving forces in the Spanish Mediterranean coast (El Maresme County, 1850-2005)”, Environmental Science & Policy 23, pp. 120 – 132. PASQUAL, J; PADILLA, E, JADOTTE, E. (2013) “Technical note: Equivalence of different profitability criteria”, International Journal of. Production Economics 142 (2013) 205–210 (en premsa). PIAGGIO, M; PADILLA, E (2012) “CO2 emissions and economic activity: Heterogeneity across countries and non-stationary series”, Energy Policy, 46, 370-381. RAMOS, X; ROCA-SAGALÉS, O (2012) “Long Term Effects of Fiscal Policy on the Size and the Distribution of the Pie in the UK: an updated analysis” in G. Giudice, R. Kuenzel and T. Springbett (Eds.) UK Economy: the crisis in perspective, Chapter 6, pp. 95-117, Routledge, ISBN: 978-92-79-19706-2. RAURICH, X, SALA, H; SOROLLA, V (2012) “Factor shares, the price markup, and the elasticity of substitution between capital and labor”, Journal of Macroeconomics, vol. 34 (1), pp. 181-198. ROCA-SAGALÉS, O; SALA H (2013) “Efectos distributivos del sistema fiscal desde una perspectiva macroeconómica”, Papeles de Economía Española, 135. RUIZ DEL PORTAL, X (2012) On the implementability of contracts without quasilinear utility, Economics Letters, 116(1), 42-45. RUIZ DEL PORTAL, X (2012) Conditions for incentive compatibility in models with multidimensional allocation mechanisms and one-dimensional types, Review of Economic Design 16(4), 311-321. RUIZ DEL PORTAL, X (2012) On the direct versus indirect taxation controversy, Hacienda Pública Española, 203(4), 9-22. SALA, H; SILVA J I (2013) “Labor productivity growth and vocational training: Evidence from Europe”, Journal of Productivity Analysis, en premsa. DOI: 10.1007/s11123-012-0304-0. SALA, H; SILVA, J I; TOLEDO, M (2012) “Flexibility at the Margin and Labor Market Volatility in OECD Countries”, The Scandinavian Journal of Economics, vol. 114 (3), pp. 991-1017. SAN JULIÁN, Javier (2012) “Economic Ideas and Redistributive Policy in the Spanish Parliament: The 1900 Debate on Fiscal Progressivity”, Revista de Historia Industrial, 50, pp. 49-71. SILVA, JI; M. TOLEDO (2013) “The unemployment volatility puzzle: The role of matching costs revisited”, Economic Inquiry, vol. 51 1(1), pp. 836-843 (en premsa)..
TELLO, E; GARRABOU, R; CUSSÓ, X; OLARIETA, J R; GALÁN, E (2012) “Fertilizing Methods and Nutrient Balance at the End of Traditional Organic Agriculture in the Mediterranean Bioregion: Catalonia (Spain) in the 1860s”, Human Ecology, 40(3),pp. 369-383. TELLO, E; OSTOS, J R (2012) “Water consumption in Barcelona and its regional environmental imprint: a long-term history (1717-2008)”, Regional Environmental Change, 12(2), pp. 347-361. VILADECANS, E; ARAUZO, J M (2012) “Can a knowledge-based cluster be created? The case of the Barcelona 22@district”, Papers in Regional Science, 91 (2), 377-400. ARIÑO BLASCO, S; SOLÉ, M; RUBERT, G; SANJUAN J M; GIL, J “The regulatory structure of Spanish long-term care: the case of Catalonia’s service structures and quality assurance systems” in LTC quality book. Cambridge University Press. En premsa. BAILEY, D, LENIHAN, H I ARAUZO, JOSEP MARIA (eds.) (2012): “Industrial policy beyond the Crisis. Regional, National and International Perspectives”, Routledge (London). BAILEY, D; LENIHAN, H; ARAUZO, J M (2012): “Industrial Policy after the Crisis”, in Arauzo, J.M. (eds.) Industrial policy After the Crisis. Regional, National and International Perspectives, Routledge (London). BOCCARD, N The economic implications of wind power intermittency, chapter100, in Encyclopedia of energy, natural resource and environmental economics, eds. Shogren and Collins, Elsevier, en premsa. COSTA-FONT, J “Choice in health care: drivers and consequences” (with Cooper, Z and Zigante, V). In LSE Companion to Health Policy, Elgar Edward Companions (Costa-Font, J and McGuire A, eds), Elgar Edward, 2012. COSTA-FONT, J “Conclusion” (with Greer, S). In Federalism and Decentralisation in Health and Social Care” (Costa-Font, J and Greer, S, eds), Palgrave McMillan, 2012. COSTA-FONT, J “Do International Launch Strategies of Pharmaceutical Corporations Respond to Changes in the Regulatory Environment”( with Varol, N and McGuire, A) In LSE Companion to Health Policy, Elgar Edward Companions (Costa-Font, J and McGuire A, ed), Elgar Edward, 2012. COSTA-FONT, J “Federalism and Decentralisation in Health and Social Care” (with Greer, S). Palgrave, 2012. COSTA-FONT, J “Health system federalism and decentralization: What is it, why does it happen, and what does it do?” (with Greer, S) . In Federalism and Decentralisation in Health and Social Care” (Costa-Font, J and Greer, S, eds), Palgrave McMillan, 2012. COSTA-FONT, J “LSE Companion to Health Policy “(with McGuire A), Elgar Edward, 2012. COSTA-FONT, J “Territory and health: Perspectives from Economics and Political Science” (with Greer, S). In Federalism and Decentralisation in Health and Social Care” (Costa-Font, J and Greer, S, eds), Palgrave McMillan, 2012. KOEPKE, N, (en premsa), “The wider background of the second transition in europe: information from skeletal material”. IN: M. Zuckerman (ed. ), Moving the Middle to the Foreground: Revisiting the Second Epidemiological Transition. Wiley-Blackwell. (en premsa). PABLO, F; ARAUZO, J M (2012): “Spatial distribution of economic activities: an empirical approach using self-organizing maps”, in E. Fernández-Vazquez i F. Rubiera-Morollón (eds.) Rethinking the economic region. New possibilities of regional analysis from data at small scale, Springer. PERES CAJÍAS, J A (2012), “Public Revenues in Bolivia, 1900-1931”, a Carreras, Albert and César Yañez (eds. ), Latin-American Economic Backwardness Revisited, pp. 167-175, Pickering & Chatto, London. PERES CAJÍAS, J A (2012), “Repensando el desarrollo desde la historia económica: crecimiento y lucha de débiles”, a Desarrollo en Cuestión: reflexiones desde América Latina, CIDES-UMSA and Plural, La Paz (Bolivia). RAMOS, X; ROCA SAGALÉS, O (2012), “Long Term Effects of Fiscal Policy on the Size and the Distribution of the Pie in the UK: 1970-2007”, in UK Economy: The Crisis in Perspective, G. Giudice, R. Kuenzel, T. Springbett (eds. ), Routledge. YÁÑEZ, C; RIVERO, R; BADIA-MIRÓ, M; CARRERAS-MARÍN, A (2012), “The Population of Latin America since the ninetheenth Century until 2008. Quantitative History Essay”, GPIH Working Paper No. 17 (November 2012), University of California-Davis. CERVINI, M, Ingressos i Despeses (capítol 7) del llibre “Enquesta de la joventut de Catalunya 2012” de l’Agencia Catalana de la Joventut (Generalitat de Catalunya). En premsa.